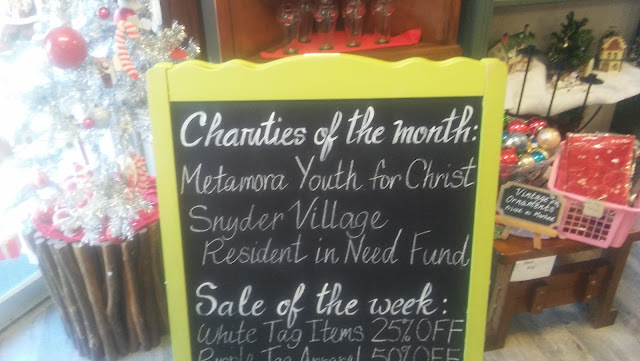 The charities of the month at Reclaimed Resale are Metamora Youth for Christ and the Snyder Village Resident in Need Fund. As you can see they have got the holiday merchandise out and ready to go. Stop in and pick up a few items to add to your collection. 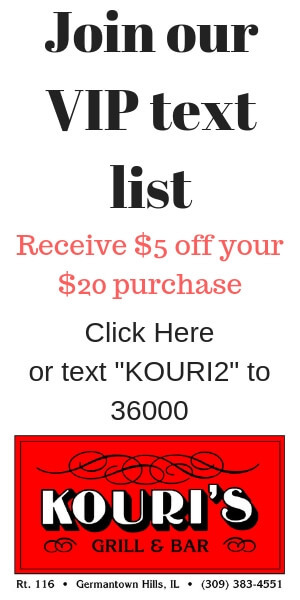 It isn't too early to start on that gift list either. Also, November 26 is Small Business Saturday. The Metamora Herald will be posting more to come about this important event. Whether you plan on shopping till you drop during this year's Black Friday sales, or staying far away from the chaos while eating cold turkey sandwiches. Please come out and support our local small businesses.